The admission period is within 30 days of the beginning of the semester. (1) Applicants applying for POSTECH should submit the following documents and pay the examination fee within the specified period. (2) Documents submitted and the examination fee paid are not returned or refunded. Appraisal of applicants is based on the following items: academic standing in high school, academic records, national examination results, and a written examination, the contents of which is determined by POSTECH each year. (1) In order to insure fair admission practices, the Committee for Fair Admission Administration has been established. (2) The above Committee, whose composition, responsibility and operation are separately provided for by the President, is under the direct control of the President and is composed of ten committee members including one committee chairman. (1) Students admitted to POSTECH should follow all the necessary procedures within the stipulated period. (2) Admission for students who have not completed all necessary procedures can be cancelled. (1) A financial affidavit should be provided by the parents of an admitted student. But when unavoidable, a person other than a parent, who can be fully responsible for tuition payments and personal affairs of the student, can provide the financial affidavit. (2) If changes are made in the information provided in the affidavit, such changes should be immediately notified to the President. (1) Transfer students can be admitted in accordance with space available within the student body after following due procedures. 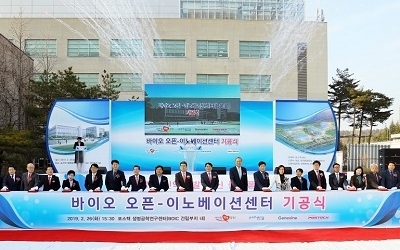 (2) Those wishing to transfer from other universities to sophomore or junior classes at POSTECH should have completed the previous academic semester (e.g., the first semester in case of transfer to the second semester) or should provide verification of educational status equal to or above of such qualification. (3) When students who have already obtained bachelor’s degrees from other universities are transferred to junior or senior years, they are not counted in the regular student body. But the total number of such students in each concerned grade should not exceed 5% of the class quota, and the total number of such students in each department cannot exceed 10% of the admissions quota. A course review is made of the courses taken at previous universities, and only those credits of courses required by POSTECH are acknowledged. (ii) Those who have been expelled due to accumulated academic warnings as stipulated in Article 49(4). (iii) Those who have been expelled according to Article 50.